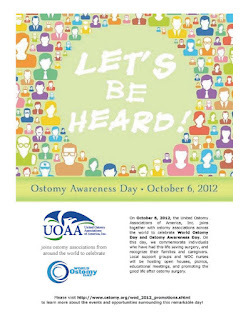 Celebration of Ostomy Awareness and World Ostomy Day will both share the same day this year in October. To commemorate this event, the United Ostomy Associations of America has made this poster and help mobilize people to spread the word! Ostomy surgery is a serious and life saving surgery that gives people a second chance in life. Conditions like colorectal cancer, ulcerative colitis, trauma and others can result in this procedure leaving the person with a colostomy, ileostomy, or urostomy bag. It's important to remember the impressive medical advances that lends us this option so life doesn't end early for hundreds of thousands of people in the United States alone! 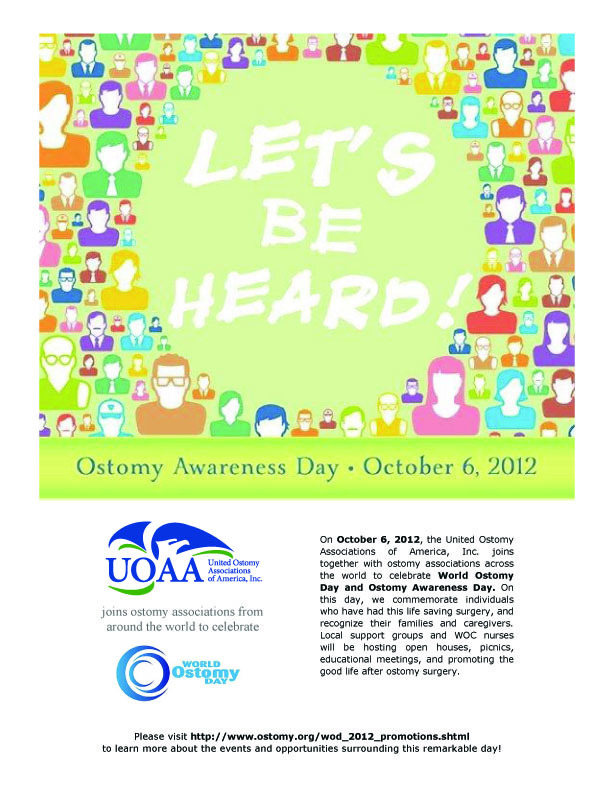 Organize with the UOAA or your local ostomy chapter to celebrate this day! Connect with the World Ostomy Day celebration on Facebook! Getting ostomy bags and other ostomy supplies can be a real task sometimes especially if you don't know what to get or have just had your surgery. Look to Parthenon's famous ostomy catalog which details almost every ostomy pouch, skin barrier, ostomy accessory, and many more items along with informative articles and more!!! Parthenon is a family owned and operated company serving the United States and World since 1961! We guarantee the lowest price and to provide you with the highest level of customer service possible. You should expect nothing less and let us know if we ever fall short of this. Ostomy supplies for less from the Parthenon company located in Salt Lake City, Utah.